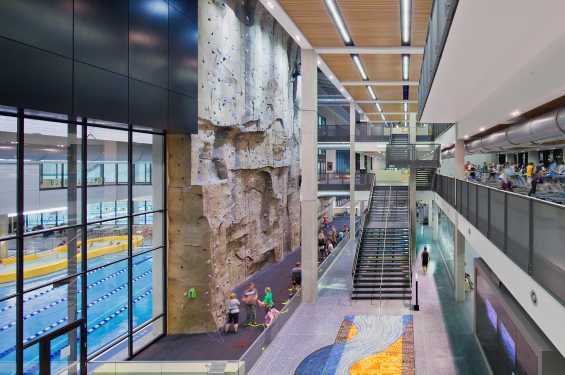 Opened in 2010, the CRWC boasts 20,000 square feet of fitness space over three levels, a 52 ½ foot climbing wall, a 50-meter competitive swimming pool, an 18 foot deep diving well, a Leisure Swimming Pool, a 1/9 mile jogging track, two basketball/volleyball courts, a multi-activity Gym, café, locker rooms and Wellness Suite. 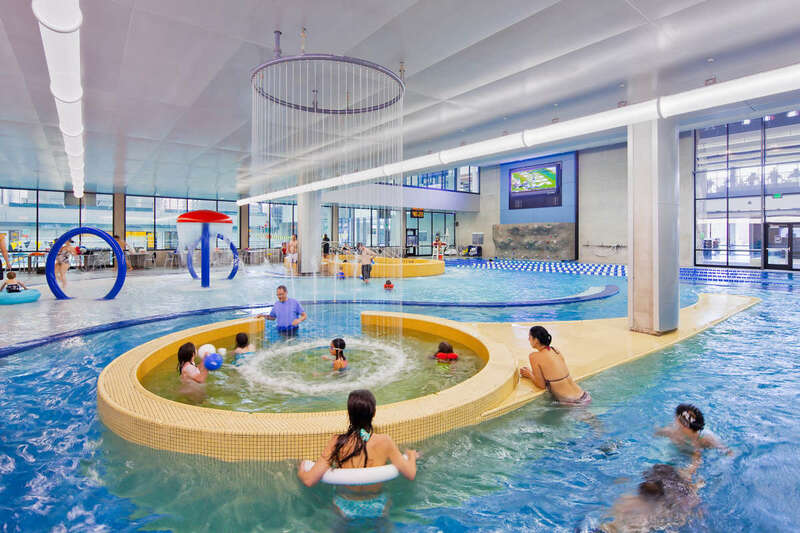 The Leisure Pool features include zero-depth entry, bubble benches, a 25-person spa, a Vortex, a current channel, Water Volleyball, Water Basketball, a climbing wall and Video Board. 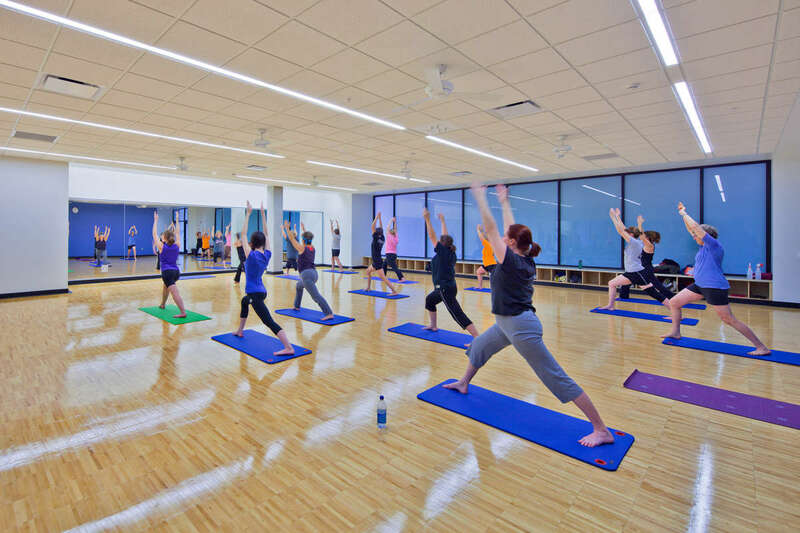 The Wellness Suite brings together staff from UI Wellness, Health Iowa and Recreational Services for fitness assessments, nutrition counseling and massage therapy.